Xiaomi Redmi S2 China Launch on May 10 : Features & Specifications : Xiaomi Redmi S2 is officially announced to launch in China on May 10, and also entry level will launch in India as well. Xiaomi officially posted a poster of upcoming smartphone of Xiaomi which confirms the launch date of Xiaomi Redmi S2. 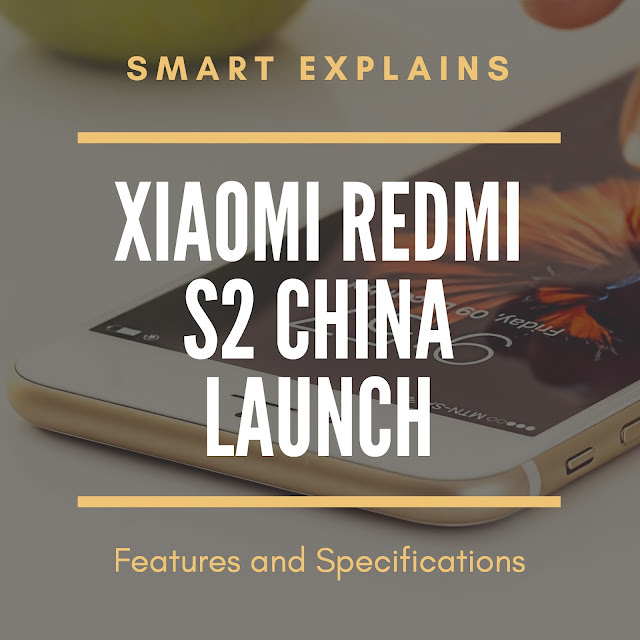 In accordance to a report in XDA Developers, there’s no any exact date for Xiaomi Redmi S2 Launch in India. But China Launch date is confirmed on May 10. May be Xiaomi Redmi S2 be the first smartphone to be launched by Xiaomi under the Redmi S series. The company posted previously a teaser poster of the Xiaomi Redmi S2 on Weibo featuring a large “S” and the Mi Logo on the top right corner. Xiaomi didn’t revealed the name of that upcoming smartphone in that teaser. But in this later teaser poster, Xiaomi confirmed that it is going to be Redmi S2. It is to be launched in China on May 10 and available on Suning.com in China. Xiaomi Redmi S2 have already got certified by TENAA. The leaked and revealed all of the specifications of the upcoming Xiaomi Redmi S2 is expected to a 5.99 inch HD + (1440 x 720 pixels) Full View Display with 18:9 aspect ratio. The phone will have a dual-camera of a 12 MegaPixels Sony Sensor and a 5 MegaPixels secondary camera on the back side of the smartphone with LED Flash Light. On the front side, it will come with a 16 MegaPixels front facing camera for beautiful selfies and video calling features. Xiaomi Redmi S2 will run on Snapdragon 625 processor, with 3GB of RAM and 32 GB of ROM which users can expand by using a microSD card slot. The most important battery backup of the phone is upto 3080mAh battery. It will run on the latest version of MIUI, with Android 8.1 Oreo. The phone could come with a fingerprint scanner and the dual rear cameras will be vertically aligned in the order. Xiaomi Redmi S2 includes distanc sensor, light sensor and also a gravity sensor. For more tech updates, subscribe to our newsletter and visit this site daily.